TP-Link upgraded the hardware within the WR841N Wi-Fi Router and in turn relased hardware version V9, which substituted the previous, world famous, V8.Users started popping up from multiple countries, from New Zealand to Europe to the USA, asking us to support such hardware version of the WR841N, appreciated by everybody because of the amazing price. It can be purchased for less than $19 in most countries. Today, we are happy to announce that such model is now fully supported by Tanaza! You can make it cloud manageable in minutes and immediately start enjoying centralized configurations, remote monitoring, real-time statistics and email alerts. We recommend to use this model in indoor environments with a low number of concurrent Wi-Fi clients; for other kind of environments, we recommend to pick the best Wi-Fi Access Point, among the broad spectrum of supported devices. 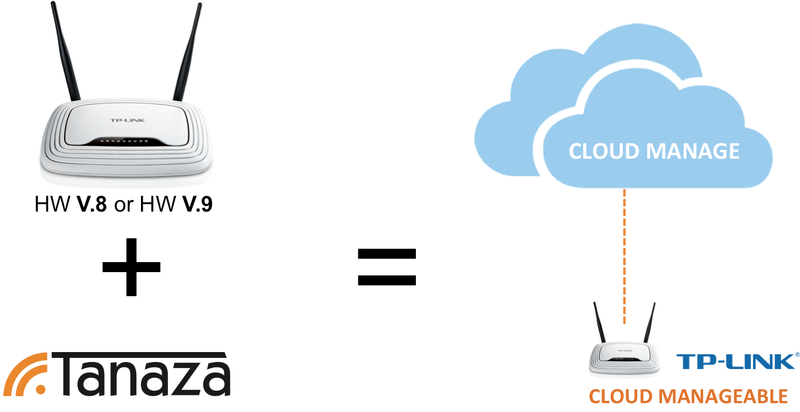 Indoor/outdoor, desktop/ceiling mounted, PoE, affordable or performing: our goal is to provide flexibility for your Wi-Fi applications.We are going to soon have also the option to roam clients among these devices, so… welcome to the era of multi-vendor cloud-management!